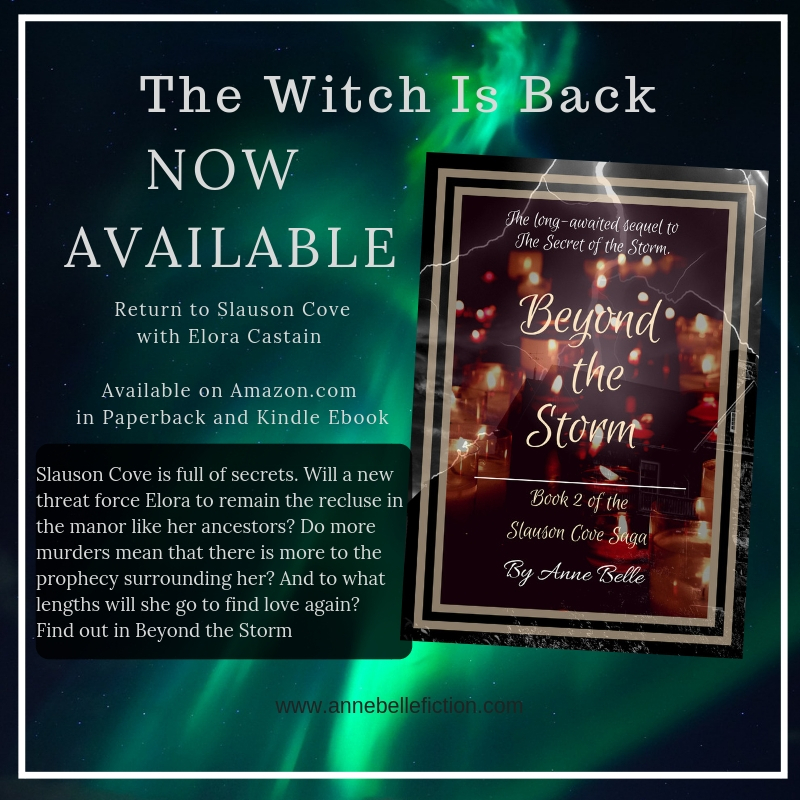 The official release of The Secret of the Storm is quickly approaching. You can already purchase the Kindle ebook through Amazon.com and you can purchase the print version in pre-release through the Createspace store here. I’m excited about the release, of course. I am even more psyched that the early reviews have been so positive and encouraging. It certainly makes all the work that went into producing it worth the effort and makes me want to keep going with the next book I am working on. I keep getting the same question from early readers though. Will there be a sequel to The Secret of the Storm? In answering that, I can’t really give a definitive yes or no. I haven’t ruled out another trip to Slauson Cove and another chapter to the Walsingham legacy. In fact, I’ve toyed with ideas on how to continue that story. New characters would be introduced if I did go ahead with it. But, I’m not going to lie. It hasn’t been a high point on my priority list. Even before the work on The Secret of the Storm was complete another story grabbed my attention and simply wouldn’t let go of me. So, I put my focus into that instead of a sequel. That story went from one book to a series of at least five. 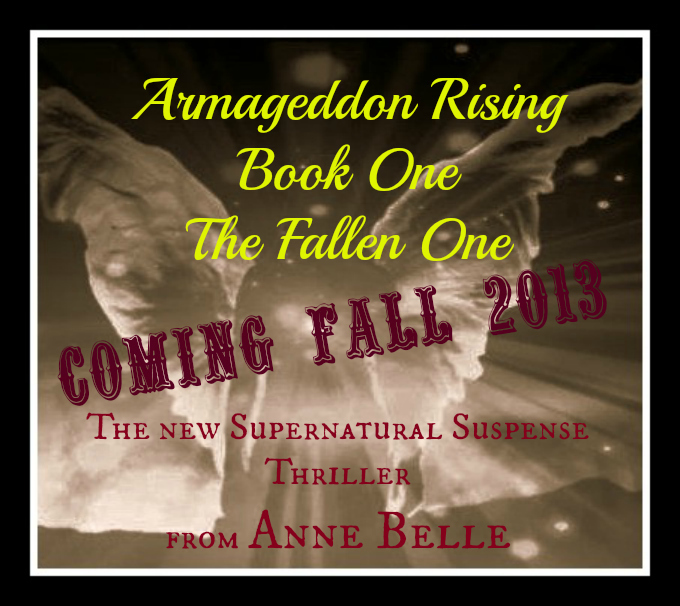 Armageddon Rising is a series that will be full of danger, intrigue, and even biblical prophecy. I don’t know why it was stuck in my head to tackle such heavy concepts. I suppose it is a calling of sorts because the story, research, and character development consistently cost me hours of sleep. And now that I’m in the middle of the editing phase of the project, it is costing me even more. As with all my work, this is fiction. I don’t claim to be a biblical scholar or an expert on end times prophecy. My purpose in writing this is to tell a story that people will make people think and that they can enjoy. I’m not even going to claim that this is Christian fiction. I don’t feel that it meets the criteria to fit into that genre. But I can tell you that it is a page-turner. I am notorious for working on multiple projects simultaneously. So, I wouldn’t quite rule out another Slauson Cove book if I continue to be asked about it by readers. There are things that I would like to explore with Elora that were, for me, unfinished in the first one. Don’t ask me when it will be out. The ideas are still merely a stack of notes in a folder with my character sketches. 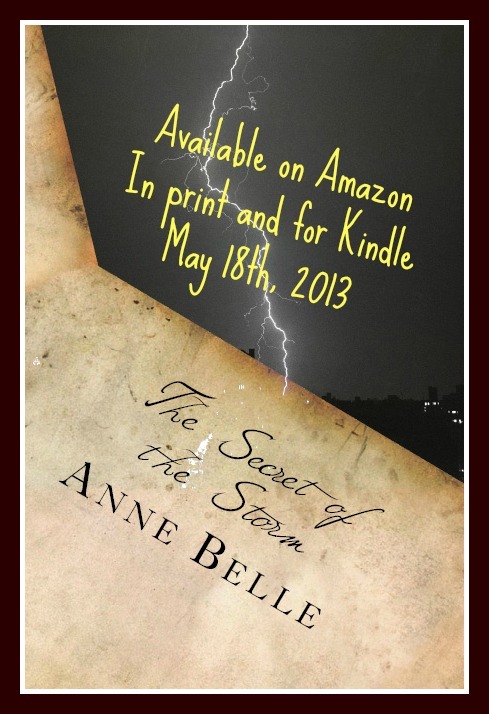 If you haven’t gotten your ebook of The Secret of the Storm yes, it is available for the Kindle. The print release has been delayed but, I will keep all of you informed as to when the print version is available and events that will be coming up. I am planning to do a good number of book signings, readings, and even virtual touring with the help of Google+ and YouTube. So, if you want a chance to meet the woman behind the blog and the books, you’ll certainly get your chance. If you have questions for me, I’d love to answer them here on the blog or in videos. (Yes, I’m thinking of branching out a bit.) So you can comment on any post or you can always email me your questions to annebellewrites@gmail.com. I always look forward to hearing from readers and other authors. I do try to respond to all my correspondence. Just have patience. Sometimes it takes a while for me to get through it all. Happy Friday everyone. I hope that you enjoy your weekend. Sometimes, even writers, have to contemplate something other than writing and story lines. 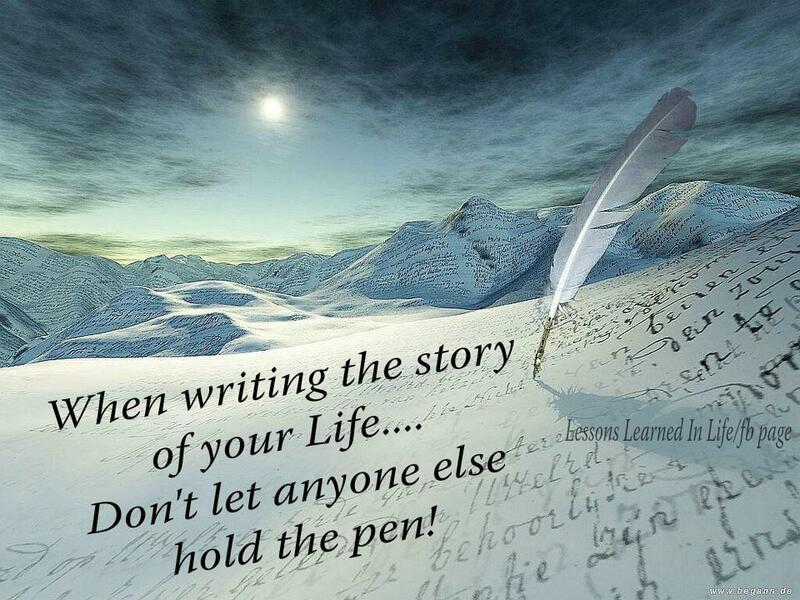 Every life is its own story. In fact, it is in living your own life to the fullest that you’ll find the greatest story you’ve ever read or, in my case, written. But, you have to truly live in it and accept it to see the gem of a tale that it is. 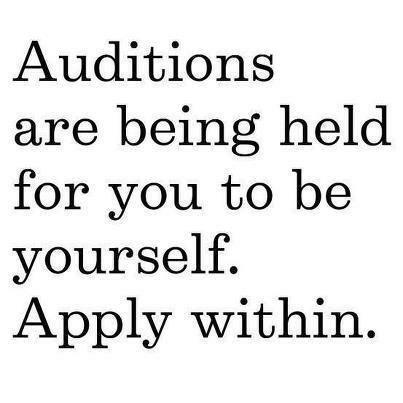 I spent a lot of time in my life not accepting who I was and it caused me a lot of heartache, confusion, and ultimately taught me a good many lessons about myself and where I belong in the world. I spent a lot of time trying to be something I wasn’t. I mentioned it before but, it warrants repeating. I tried to confine myself to labels that weren’t even remotely a good fit for my personality, beliefs, or goals in life. I explored, yes. In my exploration I was enthusiastic and wanted very much to understand. This often led people to think that I was a perfect fit in their world. For me these experiences were part of my life and part of my research for stories that I felt I needed to write. There are experiences that will turn into books as time goes on for me. Just as everything that happens to you serve as a lesson, so too do the people who come in an out of your life. I’ve had many of these people in my time. I will never doubt their sincerity or their acceptance of who I was at that point in my life but, the fact remains, I am no longer the person that I was when they were there. 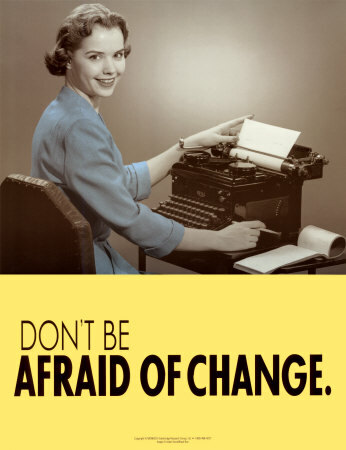 I changed and so did they. And though I may wish them the best as they move forward in the adventure before them, I know I cannot be a part of that leg of their journey. So, you let go and you move on. It really is all that you can do. 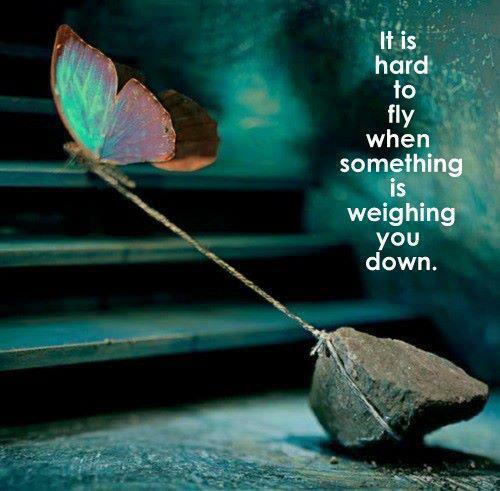 Letting go is hard. It causes pain because you lose a part of yourself when you do it. Doors close and another opens for you to walk through. In fact, I think that life is a lot like these “pick your own adventure” books that I used to love as a kid. You come to the end of a scene and you’re faced with a decision about what path to take. If “A” happens, turn to page 45. If “B” happens next then go to page 94. If “C” happens turn to page 59. We chose a path, the other doors close and we move on to the next chapter. In life there are no do-overs or going back to make another decision based on knowing the outcome. You have to learn from the experiences and push forward and make the better decision next time. That means looking at where you were, what happened, and how you reacted to it first. There was all sorts of hype about the year 2012. It was supposed to be this turbulent time of global disasters and upheaval. My ex-husband was obsessed with all of the end-of-the-world scenarios and it was practically the only thing he ever really spoke about with any degree of passion or intelligence. So I had a healthy dose of all the focus on the dark side of that. And 2012 was indeed a year of upheaval and destruction for me. But it was also a year of rebirth, growth, and acceptance. I can almost pinpoint the day I knew that my relationship was over with my ex-husband. It was long before the final straw that had me moving out and the truth is, I likely should have left him long before I did. Though letting go and moving on from that was painful, there was something better waiting on the other side of it all. Yes, I grieved. But, I also picked myself up, remembered who I was before he came into my life, and I went on. Picking up the pieces of my life wasn’t easy. I had to make some hard decisions and come to some tough realizations. It is true what they say, it is in your darkest hours that you’ll know who your true friends are. In that lowest point, I found out that people I’d once considered to be like family to me were nowhere to be found. But, I also found that the voids get filled somehow and you just press on. The more of the baggage I lose, the more amazing things start happening. The book started flowing again. Ideas for marketing started to come. 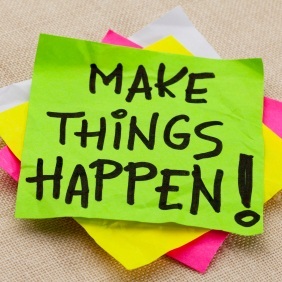 Ways to make things happen for myself became clear and doors began to open. My personal life took a dramatic turn and now, I find that I look forward to every day. Some of those days I’m working at a day job. Other days, I’m writing and marketing my book or spending time with family and friends. But, for the first time in a long time, I am the one calling the shots. Sometimes I still feel like I am floundering but overall I know that I’m putting emphasis on the right things for a change. My family, my faith, and my writing. I can tell you that I won’t be relinquishing control over my life again any time soon. Of course, I find that my life isn’t filled with people putting expectations on me that I don’t have for myself. I am surrounding myself with people who build up my creative side, encourage me to follow my gut, and accept me and love me for who and what I am instead of what I might be or can be. That, dear readers, is really the best part of life; finding those people and enjoying the time that you’re given. 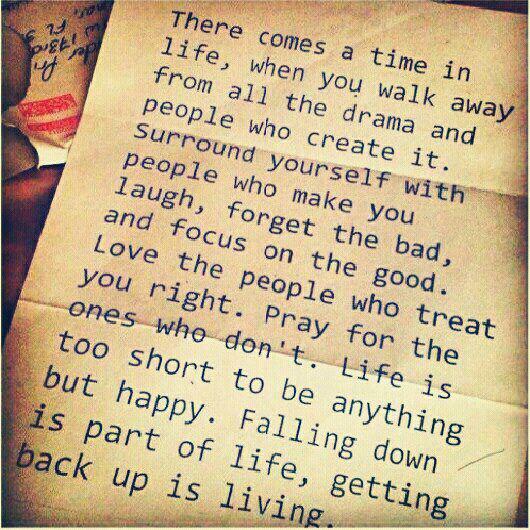 Life is too short to be full of depressing thoughts, what-ifs, and people who only hold you down or degrade you. So, in honor of Memorial Day, I kept my post to the day and what it was about. Now that we’re all through the barbecues and swimming and ushering in the summer, it is time to get back to the regular posts. Last week was full of stress factors for me. I work for a temp agency at the moment doing clerical work for a clinic. All in all, it isn’t a bad gig. Fact is, I enjoy what I am doing and the people I am working with. I wouldn’t be opposed to the job going full time however, that isn’t likely to happen because the position that I’m in is supposed to be bilingual. Such is the story of my life, it is always something it seems. Anyway, I opted to work a day in an outlying clinic over an hour away last week. The normal receptionist was taking a day off and they needed someone to cover. I didn’t mind going. In fact, my day was nice and quiet at the office. The fact is, my fiance has been working on getting my truck tuned up to try and save on fuel costs. On the way to the clinic, my truck lost acceleration on the hills and my gas tank was draining unbelievably fast. Then when I was coming home in the middle of a major thunderstorm with tornado warnings (something I’m a little phobic about) the truck decided to stop working all together. It just died. Thank God my Dad was just coming through there on his way to work when it happened. He turned around and came to me and got me home. But here I was car-less for three days until Dad got a fuel filter and changed it out. I had to go to Walmart when it was done and I stopped at the fiance’s house. He immediately went to tweaking things and ended up tweaking more over the holiday weekend to where, now, its running like a champ. So thankful that the men in my life now are good with cars. I know nothing about them really. I can check the fluids, tell when something isn’t quite right, or explain the noises and make a guess on what is happening but, to get under the hood and know what I am looking at, yeah… no. I didn’t do terrible over the holiday weekend. We kept things fairly light. Though Saturday, we ate way too much pizza when we took the munchkin on her first trip to Chuck E Cheese. We all had fun though. Her dad and I played as many games as she did. And I loved every minute of it. I love the fact that we can cut loose and just have fun even if we do look like a couple of dorks in the process. Currently Drinking : Dr. Pepper & Coffee today Writing fuel since I get one more day with the manuscript. Currently Eating: I have no idea yet. Likely just sandwiches or something like that. Currently Reading: The Graveyard Book by Neil Gaiman I picked it up this weekend after doing bridal registry at Bed Bath & Beyond. Had to go to Books-A-Million because my fiance decided he didn’t want to “girl shop” as he called it. So, I found him in the bookstore browsing in science fiction. Yes, I laugh at this because I love this man. He’s the type of man I should have married in the first place. He’s a reader. I should be married to someone who has a healthy respect for what I do. Currently Watching: Nothing really. We didn’t watch Season 2 like planned this weekend. Maybe tomorrow night. Writing this the night before it posts I’m about to turn on some Tom & Jerry cartoons and crash though. Currently wearing: Jogging shorts and a sleeveless ribbed shirt. Kept it simple. All black. Needed something cool today. Currently Looking Forward To: Getting word about the print edition of my book so that I can get on with marketing. Currently Working On: The series that I will be releasing this summer. Book One is nearing completion at this point. Will be giving some sneak peeks in the weeks to come and will likely post about it at length in this week’s writing post. Currently Listening To: Some vacation tunes. I’ve always had a soft spot for Jimmy Buffett and that island sound. So I’ll leave you with one of my favorites. Today is a special day here in America. It is Memorial Day. For some it may just seem like another three day weekend or a reason for us to drink beer out on the lake. Yet, if you stop and think about it, there is not a life in this country that hasn’t been touched by a soldier who has fought and died for the freedoms we enjoy on a daily basis and, all too often, take for granted. Today is a day to remember the ones who gave their lives in service. To honor their sacrifice, their bravery, and their sense of patriotism. It is very easy to get caught up in the festivities of the day that have become tradition. Family get-togethers, barbecues, days at the lake, and other celebratory events often take a center stage today. These things are fantastic ways to remember the lives of the service men and women for whom the day is about. Just take a moment and remember that there are so many families who are missing someone from their celebration today because they were lost in the fight to preserve our rights as citizens in this great nation. There are other families who are missing someone because they are still fighting for the same reason. Just take a moment and remember to say a prayer for those still placing themselves in harm’s way and for those who have fallen. For me, there are no big plans for barbecues or anything specific. I’m just going to take time to catch up for some lost time with my fiance and the kiddo. Maybe we’ll go to the lake, maybe not, it just all depends on what we decide when I get there. But I do know that I will enjoy whatever the day brings and be especially mindful of what my ability to enjoy these things cost someone and their family. For all who serve, have served, and will serve. I salute you and thank you for all you’ve done. To give readers a bit of a hint about the book that is being released this coming week I want to give you a bit of a sneak peek at the characters you’ll be meeting in The Secret of the Storm. To that end, I’m going to talk a bit about the main character in this book and how I created her and the fictional town of Slauson Cove. And forgive me if this seems vague but, I don’t want to give too much away for readers. I spent a lot of time in my teens and twenties traveling the USA and into Canada. In fact for a while, I think my family feared that I would be a permanent nomad instead of settling down like they had hoped for me. During that time I did a good deal of traveling specifically in New England; visiting places like Cape Cod, Massachussettes and Newport, Rhode Island along with Philadephia, Boston, and New York. There were various things about these places that stuck in my mind and continue to do so today. Slauson Cove came from taking all of those elements that I came to love and weaving them together into a fictional place. From the local college campus coffee house to the stately historical homes, Slauson Cove was a bit of an ideal place for me. A conglomeration of all the things I had loved about New England towns. The lighthouses, the rocky beaches, and the quaint cottages.It wasn’t hard to imagine this town in my head with its sprawling hub of a town square and historical landmarks some of which aren’t put into the book at all. You see, when I started creating this world there were so many details to the town and the people that comprised it that I wrote detailed descriptions of shops, offices, and even minor characters that come into play like the shopkeeper and his son that Elora meets when she is setting up shop at Walsingham Manor. The buildings in Slauson Cove have histories that are largely unknown but were important in my creative process. Coming up with the concepts are easy. Bringing them to life on the page is more difficult than people think. While you don’t use all the details in the manuscript, as the creator, you have to have them in your mind in order to keep things in a continuous flow. So in preparation, there was a good amount of “back-writing”, as I call it, so that those details were there if I needed them. With characters it is much the same. I did extensive sketches of my main characters. When you meet Elora Castain she is a reporter for the Boston Globe who has worked her way up the ladder but, she is somewhat burned out on the job. It was never her real passion and the circumstances that she finds herself in give her a way out to explore her creative side. She’s more than happy to take the risk of starting over in her career in order to explore that part of her life. I had an editor in the refining stages tell me that Elora came across as far too naive to be in the position she was in and living in a metro area like Boston. Personally, I refuse to think that there are not naive people living in bigger cities like Boston but, for the sake of the story I tried to rewrite certain elements in order to give her that city-girl edge at first. But with Elora, there is a sort of innocence that had to be explored. She discovers so much about her family’s history in such a unique way that it was, for me, important that the vulnerability show. For Elora I did a number of sketches. I even wrote letters back and forth between me and the character that asked questions about her lifestyle, what she did know, what she felt when she discovered certain aspects of the history, and how she felt about the slayings in Slauson Cove. It was an eye-opening exercise that was used in another project that I was working on during the same time with a co-author. So, as people read the book, I might just release some of those research and developmental writings if people want to read them. In my notebook there are sketches for characters that I didn’t even introduce in the book. There are notes for a sequel since so many of my beta readers wanted more after finishing The Secret of the Storm. Weigh in as you finish it and let me know if you’d like to see another volume. I’m open to the possibility of revisiting Elora and Slauson Cove. For now, get a sneak peek with the digital version via Amazon for the Kindle. It is available as a pre-release and the print version, if you prefer, is on the way soon. 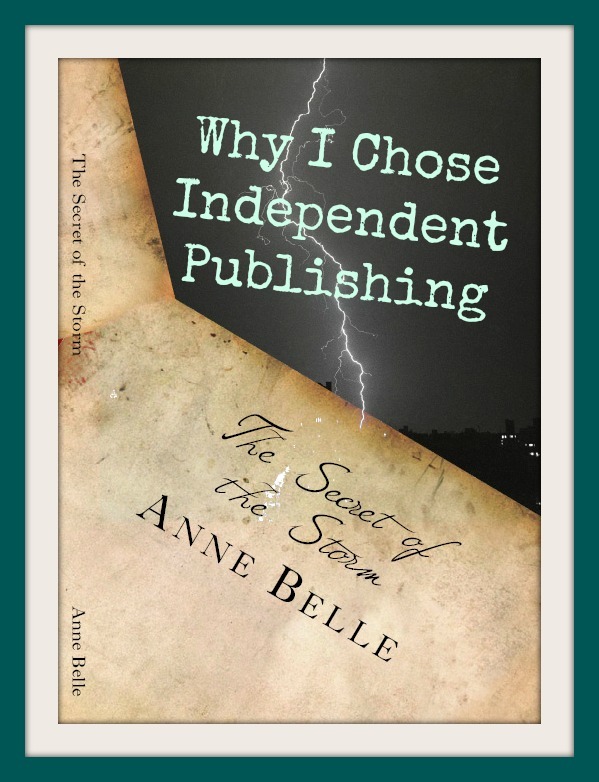 The decision to go into independent publishing is not one to be taken lightly. There are many reasons that any writer might choose to take on the role of their own publisher. There are also many reasons to go with traditional publishing. Each route has their own set of perks and pitfalls to overcome. So, regardless of my own decision or what arguments for going it alone I may make in this blog, I wholly advocate doing your own research on both methods before making that decision for yourself. My purpose with this post is not to advocate for or against indie-publishing. Instead I want to explain why I came to the conclusion that this was the best option for my personal plans. I think every writer starts out with dreams of the big publishing deal at a traditional house. I know that I did. I spent years prepping query letters and submission packages, sending them off, and waiting what seemed like months for rejection letters to come. At first they were just form letters stating that my work wasn’t accepted. Then I started to get letters that wanted to see more of the work for review. When I sent it some would say that it wasn’t a good fit for them, others would tell me that their client roster was too full to accept another work of this sort or that. For me, it all seemed futile after a while. I knew that I had a story that people would respond to. I also knew that a big house putting money into someone with no track record for marketing purposes was going to be little more than a drop in the bucket if anything. So, ultimately, I was going to have to look at other options. I had to prove myself before a major house was going to accept me and put anything into building my career. So, I started looking into the independent publishing movement. There was more to it than I originally thought. There were things like editing, formatting, and cover design to consider. Then there was the cost of getting the books to readers and ultimately how to market the book so that people would know about it. So, yes there was a lot of work involved and a lot of cost. Then I started looking at what cut of the book I would actually make. With publishers it was pennies per book sold. Doing it myself, I retained a much bigger portion of the profits. Add to that the fact that I kept creative control over the cover, the title, and the rights to the work and I had my facts. Yes, lots of work. Yes, there is some cost involved. But ultimately, the whole experience would give me a much better one on one with my readership as it grew and I would be able to give the readers more of what they wanted if I had that sort of control. And ultimately that’s what I wanted to do. So after months of consideration and a few further failed attempts to submit, I decided that I would be an independent author and work on actually reaching my audience more than I would worry about reaching a publisher. Honestly, the digital age has been a friend to writers and artists in general. Unlike in the past, the internet allows us to reach a variety of people and in ways that are far easier than mediums in the past. With email and blogs it has become easier to reach readers and make connections. While it is not an instant process, it can be done with a bit of effort and research. Since I was willing to put forth the effort, I really feel that independent authorship was for me. I am going to start compiling the resources that I’ve used over the years. My aim is to make some posts, once a week, about writing and publishing and then compile the links and resources under a section of the blog so that other aspiring authors can have access to them. The one thing that people ask all writers, it seems, is if they have advice for other aspiring authors. My advice is very simple. Write. Don’t get caught up in the whole publishing game until you’re ready to actually publish something. Otherwise, you’ll make yourself crazy trying to sort of what you should write and should avoid based on a company’s guidelines that may never accept your work to begin with. So, write the stories you know you have to tell. Write for yourself and for the people who may read your work instead of some corporate CEO. You’ll be happier for doing so in the long-run. Since this blog is supposed to be a little bit of a window into my world for all you readers. I’ve decided to do a little thing I’ve seen here and there on the internet but, of course, I’ll put my own twist on it. Currently Listening To: My mom skype chatting with my nieces in Kentucky. Love hearing a kid giggle. Currently Watching: Nada. The TV is off but, my fiance got a hold of Season Two of Once Upon A Time. I’m really excited to watch it this weekend with him. Currently Eating: Will be having something sweet in a bit but nothing at the moment. It’s my momma’s birthday so, I think there is a brownie or cake sort of thing in there. Currently Drinking: Iced tea. Yep, I had two bottles of Coke earlier. I really need to ween myself off of those. I am taking a water bottle with me tomorrow. Hoping that helps. Currently Wearing: A tank top and shorts. I’m already in pajamas as I’m writing this to post the next morning. I have to leave early to get to a different clinic so I’m not going to stay up as late as usual. Currently Working On: Marketing copy, Continuity Edits on the Work In Progress. Currently Looking Forward To: Time with my hubby-to-be and the kiddo this weekend. Working so many days keeps me away from them during the week right now but, that will all be changing soon. And they know I love them. Currently Reading: I actually just finished an inspired Young Adult book by and author named Ransom Riggs. It is called Miss Peregrine’s Home For Peculiar Children. I was inspired by this book’s inventive story and delivery actually. I was captivated by the excerpt that came across my desk back in 2011. I immediately wanted to have it in my personal library but I wasn’t able to acquire it for a number of unimportant reasons. Then I happened upon it in a store a couple months ago and was so excited over it that my fiance bought it for me. Now that I’ve finished reading it, he’s starting to read it. I have a feeling that it will go through a number of hands before it finds a place in my fledgling library when we move. Riggs has an easy to read style that seamlessly blends description and dialogue. The concept of basing the story around these peculiar vintage photographs was positively inventive, in my opinion. The quirkiness of the story and the striking impression of the characters he created for those photos is both intriguing and endearing. I was left wanting more as the book ended and was delighted when my fiance looked online and found that there is indeed a sequel in production now. I will definitely be looking for it on bookshelves and will purchase the hardback copy for my collection. It is a story that I hope to share with my kids one day. I don’t know what I will read next. However, I’m actually going to have to take something with me to the clinic tomorrow. From what I’m told it is fairly slow there and that most people who fill in take something to read. Who knows, maybe I’ll get some drafting done while I’m there. Reading is good too though. Just need to find a new book. I think I have s Stephen King book that I haven’t read yet in the back room. Perhaps I will take that.